Home ﹥ FAQs	> FAQ - Camera DCC Filter > ☉ Does DCC Filter work with a camera flash? ☉ Does DCC Filter work with a camera flash? ☉ Does “RAYNAULD™ Directivity Color Calibration Filter” work with built-in or off-camera flash? The exclusive patented structure design of “RAYNAULD™ Directivity Color Calibration Filter” enables the filter to make axial movement along within the black barrel to adjust the proportion of primary and secondary light sources, and to obtain the various accuracy color temperature compensation value to camera gray system in different shades photo shooting. In short, it can be used to efficiently correct the color cast problems with top flash or off-camera flash. One of the most important functions of all advanced cameras is TTL (Through The Lens) is for automatic flash exposure control. It has nothing to do with photo color temperature adjustment. Thus, the continuous proportion variation between the flash light and the ambient light often makes the photo with weird color. 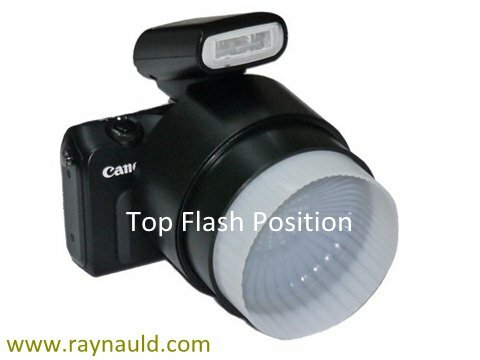 “RAYNAULD™ Directivity Color Calibration Filter” is effective to shoot satisfactory color photo under different flash light with ambient light. It is necessary to use the built-in flash with various extending length of the filter cup with a few of practices and comparison to find out the best position in line with the camera and the built-in flash. As to the outdoor and studio off-camera flash, it should be calibrated in the same way as in general situation to do the manual white balance with flash.